Auto accident involving trucks are not common. They’re the uncommon but often the most serious and tragic type leading to injury and death. What Type Of Vehicles Are Involved In Truck Accidents? All the vehicles we classify as “trucking accidents” are eighteen-wheel vehicles weighing in excess of one ton or more. This does not eliminate the other vehicles out there that are in fact trucks, i.e. company vehicles, etc. Is A Certain Type Of Truck More Involved In Accidents Than Others? Not really. Rather I should say there is no empirical evidence to show that one truck is more prone to accidents than others. There have been studies that show design defects in trucks, but nothing definitive to show that one type of vehicle, one brand, is more dangerous than others. Typically, it’s the eighteen-wheel vehicles that garner the most attention. Are These Vehicles Subject To Different Rules And Regulations? Yes, they are. The trucking industry is regulated by Federal standards promulgated by the Federal Motor Carrier Safety Administration (FMCSA). It has implemented many rules and regulations in which truck companies, truck drivers, and operating vehicles must adhere to. Some of those rules include a maximum number of hours while driving a truck; keeping a driver’s operational log and submit to monitoring while operating their vehicles. What Are The Most Frequently Violated State And Federal Rules Of The Road? Human error is probably the biggest blame. Many drivers try to avoid the maximum operational hours’ requirement due to various reasons, such as time deadlines, rigid scheduling requirements by the company, and simply individual selfish interest. Other regulations regarding maximum weight loads and safety inspections are frequently called into question. The most common cause of accidents is human error, i.e. sleep deprivation, driver distraction such as use of cell phones while operating vehicle, violation and non-observation of traffic warnings or roadway conditions. Non-compliance with the federal safety laws are common causes as well. The chances of serious injuries or death is higher. There is a higher standard of care placed upon the operator of these vehicles. The drivers must submit to approved training and screenings. Smaller vehicles do not require these special licenses and certifications. 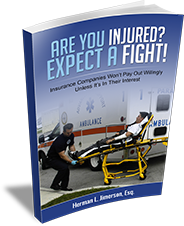 What Are Some Severe Injuries That You See Resulting From Trucking Accidents? These accidents create horrific injuries such as paralysis, loss of limbs, head traumas, loss of physical/mental capacities and death. What Evidence Should Someone Preserve At The Scene Of A Trucking Accident? All evidence is admissible or should be looked at for admissibility. Whenever there is a trucking accident, the state authorities are called normally controlled by the Missouri Highway Patrol. If death is involved, an investigation is mandatory. Likewise, serious injuries will cause reports to be created. Pictures of the scene, the vehicles are always helpful. For more information on Trucking Accidents In Missouri, a free initial consultation is your next best step. Get the information and legal answers you are seeking by calling (314) 786-3536 today. Home > Personal Injury > How Common Are Auto Accident Cases Involving Trucks?